In the U.S. and around the world, people are not getting access to the specialty care they need, when they need it, for complex and treatable conditions. Through technology-enabled collaborative learning, ECHO creates access to high-quality specialty care in local communities. Community providers learn from specialists. Community providers learn from each other. Specialists learn from community providers as best practices emerge. ECHO uses technology to leverage scarce resources, reduces disparities in care by demonopolizing knowledge, provides case-based learning to enhance mastery of complex information and increase impact, and uses web-based databases to monitor outcomes. Evaluation of the inaugural Hepatitis C ECHO at the University of New Mexico demonstrated increased patient and provider satisfaction, retention of patients in medical home, equal or better patient outcomes when treated in their community by their provider, enhanced retention of providers in underserved areas, reduced costs of treating late-stage disease and improved public health prevention efforts. 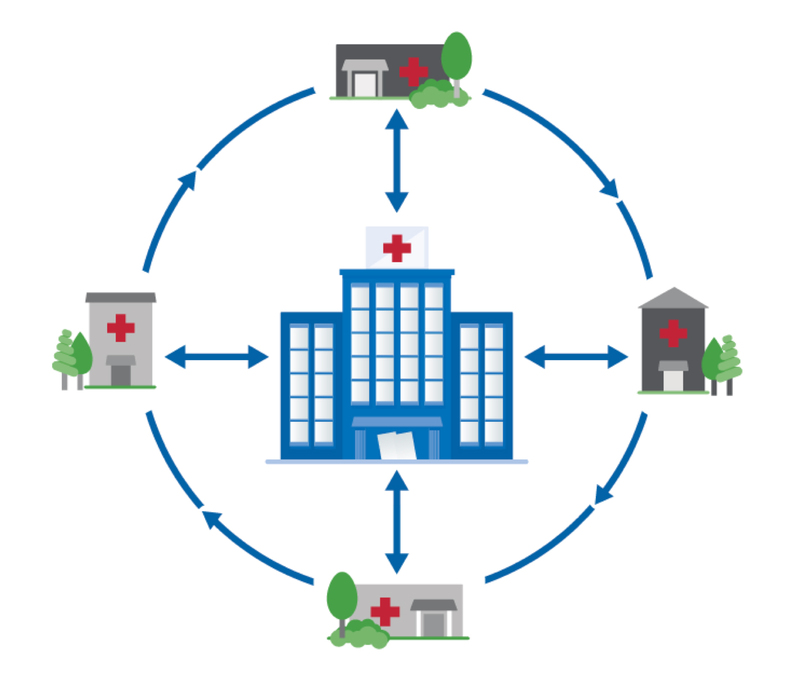 The Fairbanks School of Public Health HCV ECHO program provides specialty HCV education and training to primary care providers interested in treating their patients with HCV, building the capacity to provide high quality, best-practice care locally for patients with chronic HCV across Indiana. We invite you to join your colleagues from around the state in our Hepatitis C teleECHO clinics, beginning January 2018. Joining HCV ECHO is free to all providers. Hepatitis C ECHO clinics meet online using Zoom videoconferencing every other Thursday from 12:30-1:30pm ET. Each session consists of a brief didactic on a topic related to HCV care and presentations and discussions of case patients by participating providers. The group of community providers have the opportunity to work through each case in a collaborative fashion and receive guidance from the multidisciplinary expert ECHO team to develop skills for managing patients in your own practice. No cost CME credit is provided to all members through the IU School of Medicine Division of Continuing Medical Education. Dr. Joan Duwve is the associate dean for public health practice at the Richard M. Fairbanks School of Public Health at IUPUI. Dr. Duwve serves as our ECHO center director. Andrea Janota is the program coordinator for the Center for Public Health Practice at the Richard M. Fairbanks School of Public Health and serves as the ECHO program coordinator for the HCV ECHO Hub. Dr. Paul Kwo is a professor of medicine and director of hepatology at the Stanford University Medical Center, and formerly served as the medical director of liver transplantation at IU Health. Dr. Kwo is the co-lead Hepatology expert for the Hepatitis C ECHO clinic. Dr. Marco Lacerda is the medical director of Liver, Intestinal and Multivisceral Transplantation at Indiana University Health (IU Health) and associate professor of Clinical Medicine at the Indiana University School of Medicine. Dr. Lacerda is the lead Hepatology expert for this ECHO clinic. Martha Mendez is a clinical research nurse in the Division of Gastroenterology and Hepatology at Indiana University. Norman Minor Jr. is a licensed clinical social worker, licensed mental health counselor, and a licensed clinical addiction counselor. Minor has been in the field since 1985 and is currently working as the social worker for the Medical Diagnostic Center and the Digestive and Liver Department at IU Health. The first HCV teleECHO clinic was held Thursday, January 18, 12:30-1:30pm ET. Hepatitis C teleECHO clinics will be offered every other Thursday through December 2018. Each clinic is one hour in length. ECHO participants are encouraged to join teleECHO clinics regularly in order to become proficient at caring for patients with HCV. The first teleECHO didactic sessions will include HCV epidemiology, laboratory testing for HCV, treatment of HCV in the non-specialty setting, and evaluating liver health. As a member of HCV ECHO, you will gain the skills and confidence to treat patients with Hepatitis C in your community. The key to ECHO’s success is moving knowledge, not patients, providing the right care, in the right place, at the right time. For more information about ECHO, please see the attached infographic and FAQs. If you would like more information or are interested in registering for HCV ECHO, please contact Andrea Janota, ECHO Program Coordinator, at (317) 274-3178 or via email at ajanota@iu.edu.